Have you snagged your limited edition September kit, yet? What are you waiting for?! Our exclusive kits are available in limited quantities - once they're gone, they're gone. You don't want to miss it! Our talented design team definitely worked their magic with this month's kit. Janna dove right into our kit with a seasonal themed layout. With multiple layers, she indeed creates a cozy themed project! I particularly like how she used the Picture Perfect frame as a tab on the right of her photo instead of how it might typically be used. Stephanie also used multiple layers in addition to the Picture Perfect frame from the September kit for this layout. Notice that with just a few changes in embellishment selection, the color scheme of the layout totally transforms. You'd never guess that these first two layouts were created with the same kit upon a first glance! 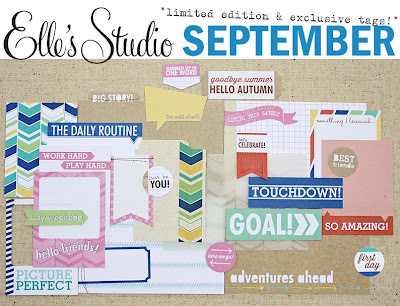 A neutral background on this layout from Corrie really lets our September kit shine! Bits and pieces from the kit are tucked behind her photos to help keep this adorable girl front and center. And of course, our monthly kits are a great choice for documenting your life in weekly layouts. 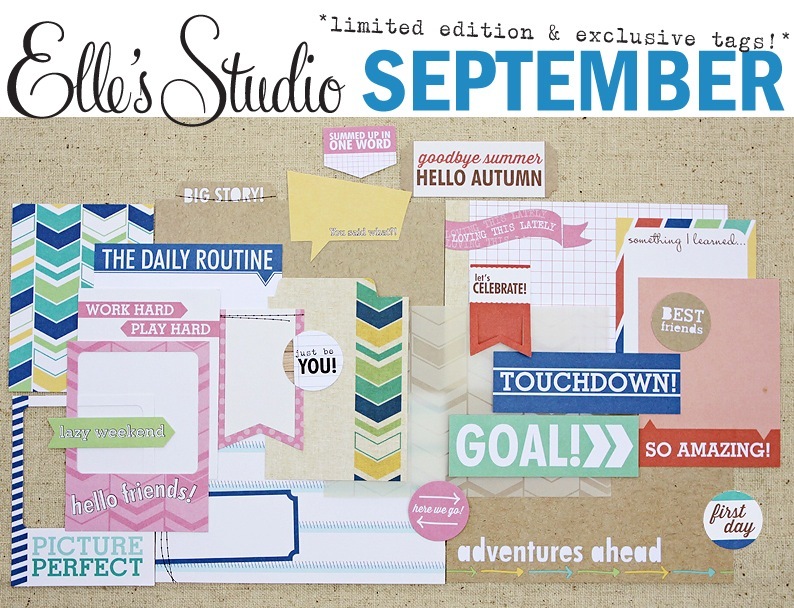 Jen paired our September kit with our Cameron collection to create this layout documenting her summer. We'd love to see what you create with our September kit, too! If you're sharing your projects online, don't forget to use hashtag #ellesstudio so that we can see them!